With the Canon Vixia HF R800 1080p HD camcorder you will never miss the action. Pairing a 57x Advanced Zoom and SuperRange OIS with a 3.28mp full HD image sensor the R80 delivers high-resolution videos from near, far and everywhere in between. Be as creative as possible with fast motion recording up to 1200x and slow motion at 1/2x and produce movies with lifelike colors and tones with backlight correction in Highlight Priority Mode. 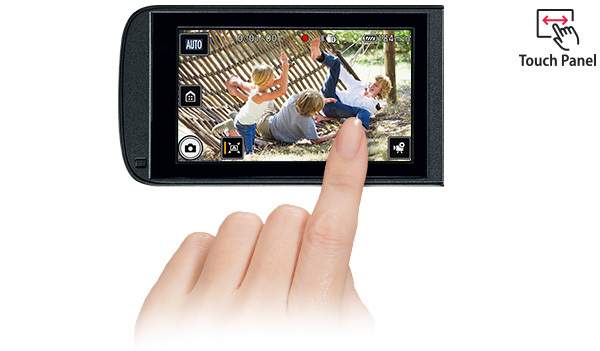 The camcorder features a capacitive 3” LCD touch panel display and lets you record highly detailed, impressive 1080/60p videos to an SD card in MP4 format. Carry the compact and lightweight HF R800 with you wherever you go and use the built in Wi-Fi and NFC connectivity to share your awe-inspiring videos with family and friends all the time. Looking for something else? Shop our other camcorders HERE.